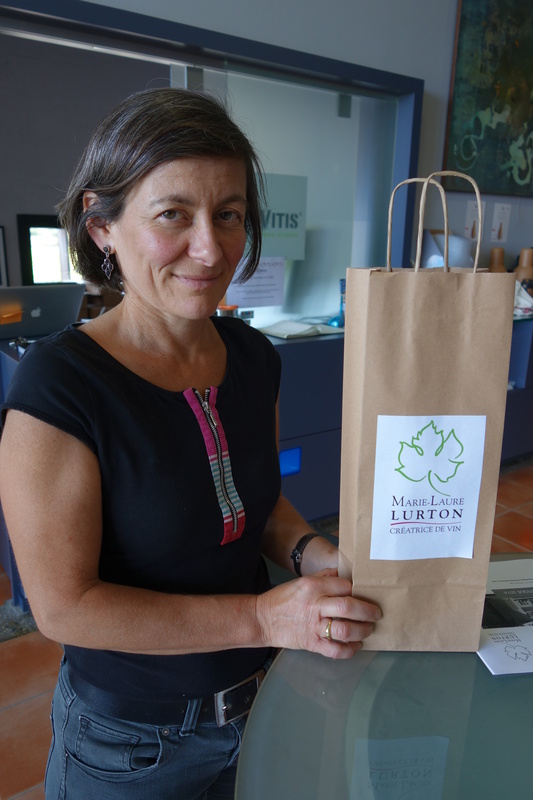 It would not be entirely accurate to say that Marie-Laure Lurton belongs to a well-known wine family… In fact, it would be much more apt to say she’s from a virtual dynasty, with huge landholdings throughout Bordeaux (1,300 hectares at 27 estates). However, Marie-Laure is no figurehead daughter looking after marketing and public relations… She’s a hands-on winemaker with a degree in enology and years of experience working at the family châteaux prior to acquiring two of her own. A measure of the woman’s stamina and character is that she was training for the Marathon du Médoc when I met her this summer. 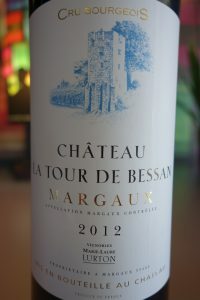 Marie-Laure owns and manages Château La Tour de Bessan in the Margaux appellation and Villegeorge in the Haut-Médoc appellation. She is the mother of three children. I asked Marie-Laure a question that fascinates lovers of Bordeaux. Since nothing would legally have prevented it (the 1855 classification is not subject to appellation controlée laws, and has not been changed since 1973, when Mouton Rothschild was promoted from a second to a first growth), why was La Tour de Bessan not purely and simply integrated into Brane Cantenac or Durfort Vivens, both second growths belonging to the Lurtons – and selling at a much higher price? Her answer was very nuanced and had much to do with agreements made within her family taking existing situations into account. Let it suffice to say that Lucien Lurton acquired La Tour de Bessan in the 1970s and preferred to keep the estate separate. 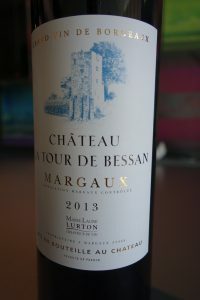 I was intrigued to discover La Tour de Bessan because I had rarely had the wine. I was not alone in erroneously thinking of it as a second wine of Brane Cantenac. The vineyards are located in three different communes: Soussans, Arsac, and Cantenac. 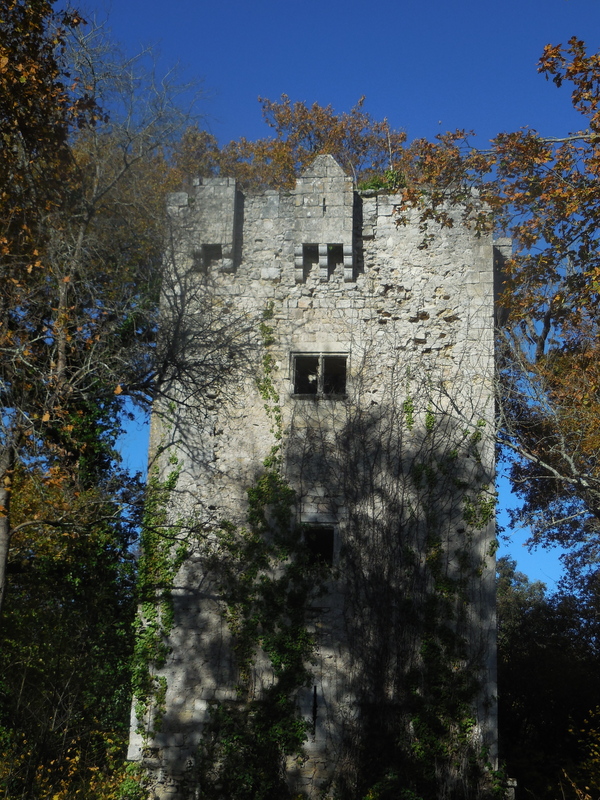 The eponymous tower in Soussans dates back to the 13th century – predating the one at Château Latour in Pauillac, who therefore did not ask the Lurtons to change the name to just “Tour de Bessan”, as they did to other châteaux called “La Tour something or other”. La Tour de Bessan was acquired by Lucien Lurton in 1972. Marie-Laure worked with her father from 1984 to 1991. He handed over full winemaking responsibility at La Tour de Bessan in 1992. Marie-Laure was not spoiled for her first vintage since the year was extremely difficult and challenging. She has since acquired precious experience running the estate, and her wine was sold on the Place de Bordeaux to négociants for the first time in 2010 (the 2008 and 2009 vintages). The 30 hectares of vines are planted with 39.2% Cabernet Sauvignon, 59.6% Merlot and 1.2% Petit Verdot. The soil consists of Pyrenean gravel and viticultural practices are sustainable, as attested by Terra Vitis certification since 2003. The Cabernet is machine harvested, but the more fragile Merlot is picked by hand. In general, picking is always adapted to the condition and ripeness of the grapes in each plot. Marie-Laure has been assisted by Technical Director Emilie Roulié, an agricultural engineer, since 1999. The vineyard manager is a Habib Achenglil. A new cellar was built in 1999. The first thing you notice about La Tour de Bessan is its tasteful, striking, resolutely contemporary architecture. Made of reinforced concrete, the original building dates from 1934. 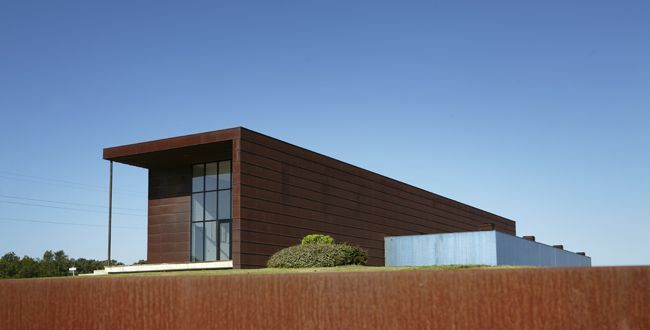 In its present state, it looks like nothing so much as a modern art museum and cannot be compared to anything else in the Médoc. 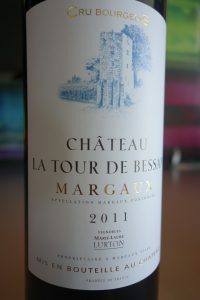 La Tour de Bessan was included in the Cru Bourgeois classification in 2003. However, like several other well-known estates, Marie-Laure decided to withdraw after a series of upheavals within the Alliance des Crus Bourgeois, and for practical reasons. I tasted through the 2011, 2012, and 2013 vintages of La Tour de Bessan with Marie-Laure Lurton. Eschewing the clichés often used when referring to wine made by women, I would describe the wines as very traditional in style, similar to the ones I tasted when I first came to Bordeaux in the late 1970s. By that, I mean that they are poised, digestible, on the light side, and with a very lacy texture in each instance. They are on the early-maturing side and what I, as a foreigner, see as in keeping with the French taste in wine – light years away from heavily-extracted oaky ones one finds. There is an ethereal aspect that makes them very drinkable and enjoyable. 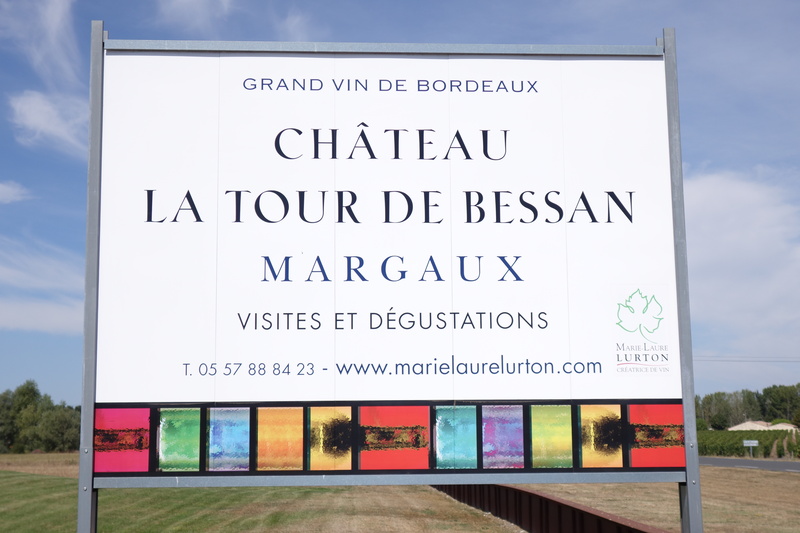 La Tour de Bessan is also on the forefront of wine tourism (http://www.marielaurelurton.com/fr/oenotourisme/). The château offers a series of options including tasting wine from each grape variety, making your own blend, and leaving with a bottle of it to take home. Another possibility, “Gourmet Day in Margaux”, includes visits to Prieuré-Lichine and Rauzan Gassies in the morning, lunch at the Savoie restaurant, and tours of Kirwan and (of course) La Tour de Bessan in the afternoon. 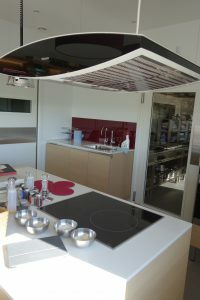 In addition, Marie-Laure has established a partnership with the Officier de Bouche caterer in Margaux (http://www.lofficier-de-bouche.com/). 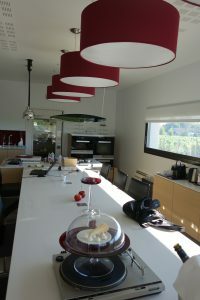 The chef and owner, Mme Gaëlle Benoiste-Pilloire, is specialized in matching food and wine, and has her own professional kitchen. Participants prepare meals and eat them afterwards with the appropriate wines. What does the future look like for La Tour de Bessan? Marie-Laure’s children have not, as yet, shown interest in taking over management, but time will tell… There is inevitably a time lag between a château’s renaissance and recognition by the marketplace. Marie-Laure has given herself a decade to turn things around completely and will then see what to do next. In the meantime, I wish her the best of luck, and encourage her to keep up the good work. Posted in Château profiles and tagged Bordeaux, Médoc, vavino, wine, winelover on January 30, 2017 by AlexR. What to do when an expensive wine is corked? Why, ask the château to replace it, of course! It is always a disappointment when a fabled and/or expensive bottle of wine proves to be undrinkable. Many of my Burgundy-loving friends have stopped buying that region’s white wines altogether because of the number of prematurely oxidized bottles they encounter. Unfortunately, Burgundy has, as yet, found no cure. Then there are the corked bottles, which bedevils producers everywhere… As we all know, this is caused by trichloroansol, or TCA, a substance found in both cork and wood. Once again, no sure way of avoiding this has been found, other than multi-piece, colmated, agglomerated, or synthetic corks and, of course, screw caps, keeping in mind that none of these have proved to be appropriate for fine wines meant to age for decades. It is estimated that 7% of all wines with natural cork closures suffer from cork taint. In the same way that most people will not complain about food or wine at a restaurant if asked by a waiter if everything is fine – when this is not the case – the majority of wine lovers just shrug their shoulders when confronted by a corked wine at home, considering this as destiny, a necessary risk to take, and a low-level form of Russian roulette. The price to pay. This is what I have always done. However, I hosted a wine dinner at my house in November and invited two enologists. One of them works for a Médoc great growth. I had wanted to compare a bottle of 2001 Mouton Rothschild and one of 2001 Pichon Baron. This was impossible since the latter was indisputably corked to high heaven. I was prepared to go tsk, tsk, shake my head and move on. However, my friend said “At the château I work for, when someone reports a corked bottle, we replace it”. So I thought, why not try? 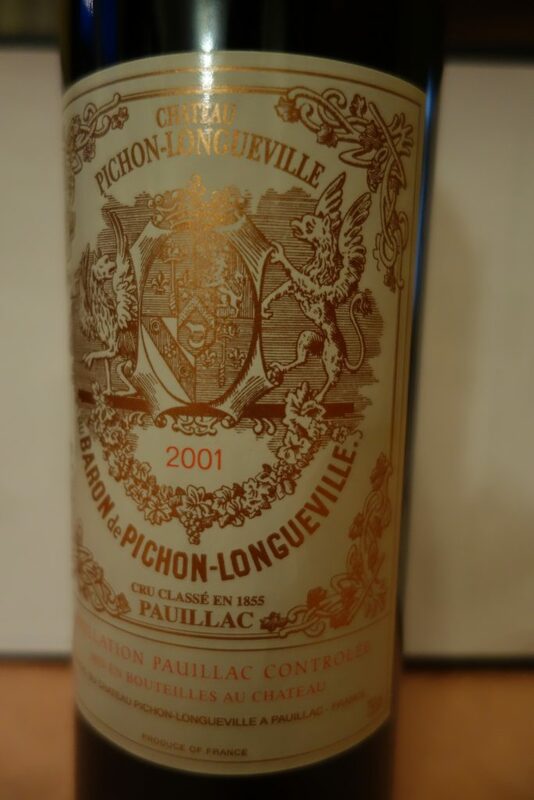 So, I wrote a letter to Château Pichon Baron and enclosed the cork. Shortly thereafter, I received an e-mail from Jean-Marie Matignon, the estate’s technical director, confirming that the cork was indeed infected and that the château would be glad to replace the wine. Of course, I was delighted, and the bottle arrived on my doorstep in due course. I salute the château’s great sense of fair play in replacing a 15 year-old bottle, and will never again be defeatist when I come across a corked wine. Of course, I’m aware that not every producer will be as conscientious, but Pichon Baron has set a fine standard. If any of you have similar stories to tell, I’d be glad to hear them. Posted in Uncategorized on January 23, 2017 by AlexR.